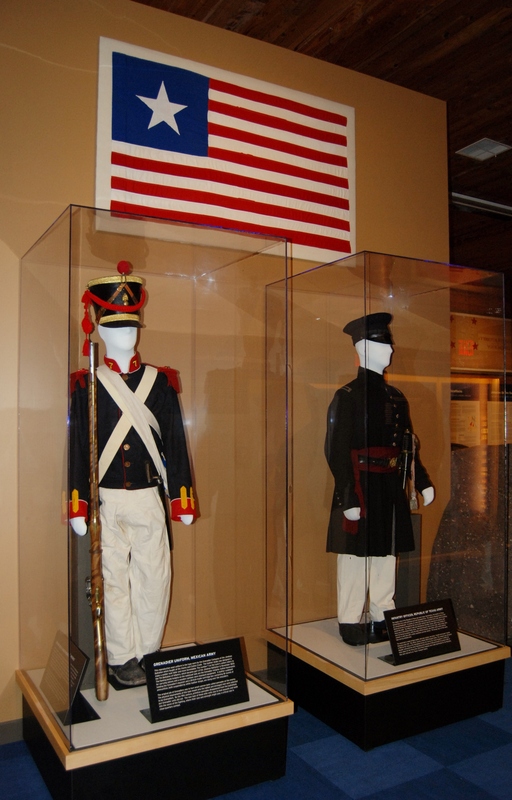 This dramatic 3,600 square foot exhibit tells the story of the Texas Revolution, the Texas Navy, the military struggles of Texas as a Republic, and the role of Texas troops in the Mexican-American War, War Between the States, Spanish-American War and Philippine-American War. 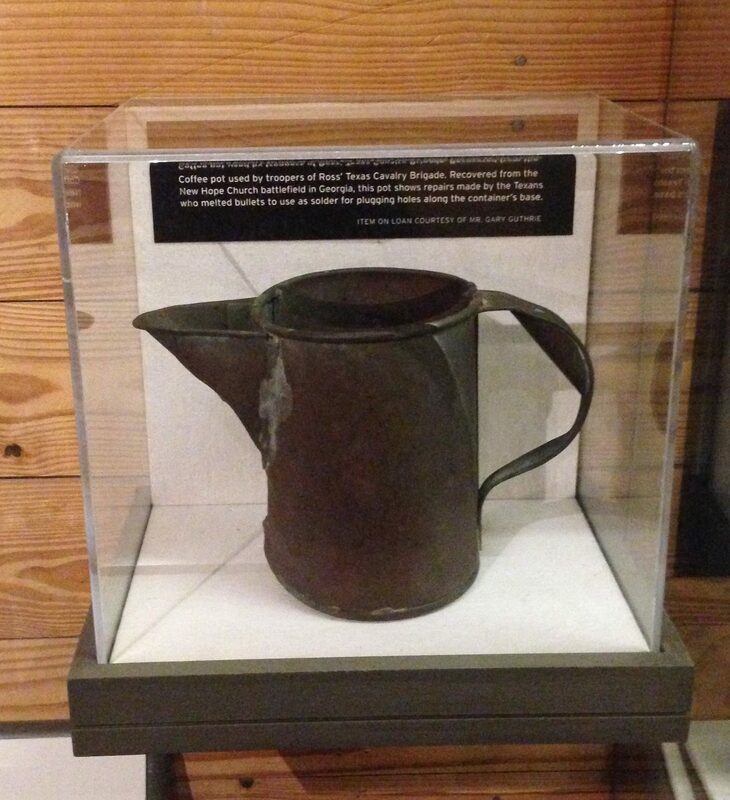 More than 100 original artifacts used by Texas troops between 1823 and 1901. 28 original or reproduction flags carried by Texas troops during the Texas Revolution, the Mexican War, the War Between the States and the Spanish-American/Philippine-American Wars. Four interactive exhibits that allow guests to hear the haunting strains of the Duegello at the Alamo, vote for or against the secession of Texas in 1861, learn how to fire a Civil War musket or artillery piece, listen to Civil War era bugles calls or discover the role of the Texas Brigade at the Battle of Gettysburg. A life-size cross section of the gun deck of a Texas Navy warship, circa 1842. A full-scale reproduction of a Civil War artillery emplacement, complete with a six-pounder smoothbore cannon. A recreated sharpshooter’s position in Devil’s Den on the battlefield of Gettysburg. Dramatic dioramas of the battles of the Alamo, San Jacinto, Galveston and Sabine Pass. 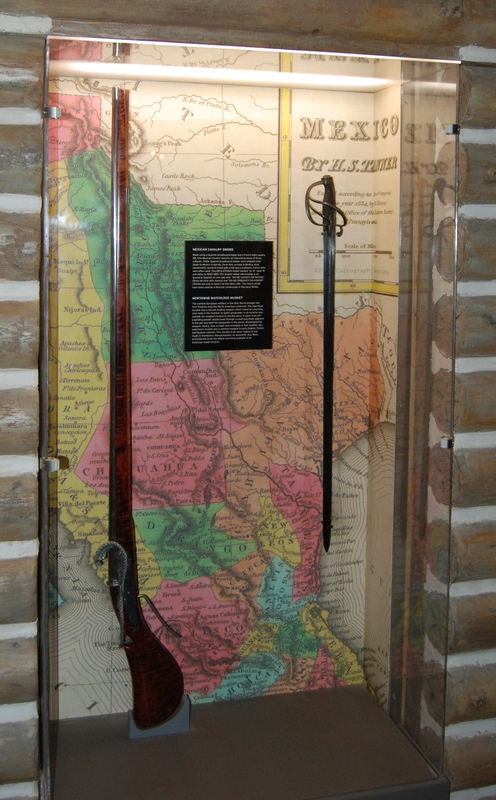 More than 70 interpretive panels detailing the role Texas troops and units played in the Texas Revolution, the struggle for the frontier, the Mexican War, the War Between the States and the Spanish-American and Philippine-American Wars. 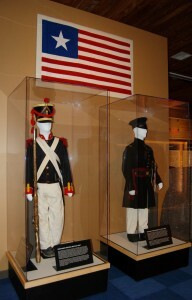 Major funding for the exhibit was provided by the Texas Military Forces Historical Foundation, the Texas Navy Association, the Army Community of Excellence Program, the Texas Military Department, the Sons of Confederate Veterans and numerous individuals who want to ensure the heritage of today’s Texas Military Forces is remembered and honored.